Hypertension or high blood pressure is one of the most common problems the world is facing these days. Hypertension or high BP is a condition where the pressure of blood against the artery walls is higher than it usually is. As per the survey conducted by the World Health Organisation (WHO), over 1.13 billion people are suffering from hypertension all over the world. The best way to manage hypertension or high blood pressure is by maintaining a healthy diet and lifestyle habits. Foods that are high in sodium, refined oil or trans-fats are to be avoided completely as they tend to put immense pressure on blood vessels, which restricts blood flow and increases pressure. Moreover, hypertension is caused by lower than normal zinc levels, which hamper the way our kidneys handle sodium, as per a new study. The study was published in the online edition of American Journal of Physiology–Renal Physiology. As per the researchers, deficiency of mineral zinc is quite common in people with type-2 diabetes and other kidney-related ailments. The ones with low zinc levels are equally at a higher risk of hypertension or high BP. The process of sodium cotransporter in which kidneys either excrete sodium into the urine or reabsorb it into the body also plays a role in blood pressure control. It was observed that less sodium in the urine resulted in higher blood pressure. In the previous studies, it was found that zinc could help regulate proteins that in turn regulated the NCC; however, the link between zinc-deficiency and hypertension was not examined. In the latest study, researchers compared male mice with zinc deficiency to healthy controls with normal zinc levels. They saw that zinc-deficient mice developed high blood pressure and a corresponding decrease in urinary sodium excretion; whereas, the control group did not experience the same changes. 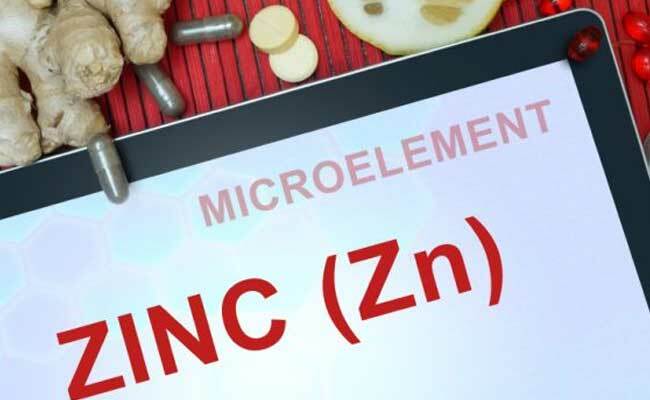 The zinc-deficient mice were given a diet rich in zinc partway through the study. Once the animals’ zinc reached adequate levels, blood pressure began to drop and urinary sodium levels increased. The research team wrote that the findings demonstrate that enhanced sodium reabsorption plays an important role in zinc-deficiency-induced hypertension. “Understanding the specific mechanisms by which zinc deficiency contributes to blood pressure dysregulation may have an important effect on the treatment of hypertension in chronic disease settings,” the researchers added.